The PS27 Female Founders Forum is coming back to the University of North Florida on March 8 and is looking for women CEOs to join their program. The forum is an annual event to motivate and improve the skills of female founders and entrepreneurs. Each year, the event takes place on International Women’s Day. This year, Ashley Wong, a YCombinator alumni and founder of Gemnote, will be the keynote speaker. Gemnote, founded in 2015 creates unforgettable experiences through sending premium, customized gifts. Their software scales the personal touch for businesses and Gemnote’s clients continue to top the lists for Best Places to Work, including Airbnb, Facebook, Google, Netflix, Slack and more. During the event, Wong will share her secrets of success and inspiring story. 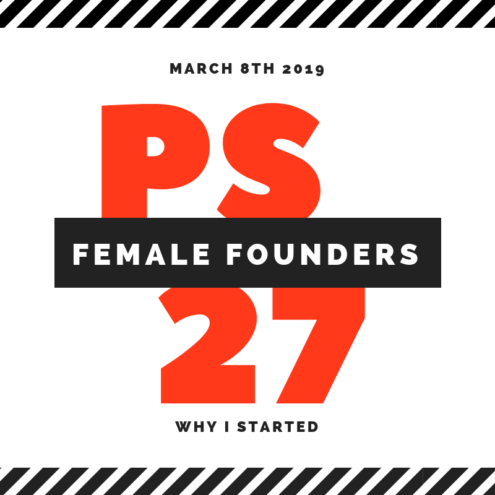 The sessions at PS27 Female Founders Forum are highly interactive and fully immersive and allow participants to exchange ideas and share best practices. The mission of the Female Founders Forum is to empower a network of entrepreneurs with resources and experiences to allow them to achieve business success. The program is tailored to startups and features a panel of female leaders that discuss the unique challenges that women face in business. The goal of our annual forum is to attract and inspire more women to become better leaders and to build relationships with a community of female founders. To learn more about the PS27 Female Founders Forum, visit ps27ventures.com/fff.